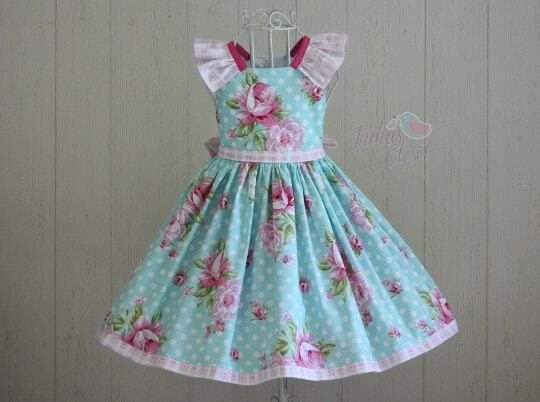 This listing is for the PDF PATTERN & TUTORIAL for making the Posey Dress. You will be able to INSTANT DOWNLOAD the pattern after purchase. Measurements are provided for the skirt, sash and wing pieces rather than pattern pieces to print. This PDF includes a TUTORIAL with lots of photos to step you through making the dress & PATTERN PIECES which can be printed out on a regular home printer (with scaling set to none - prints fine on Australian, UK, USA and other international home printers). The skirt pieces, sash and "wing"pieces are all rectangles (measurements rather than print out pattern pieces for the rectangles are included). 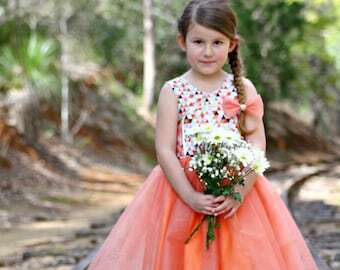 Many Thanks to Cathy from Sew Darn Ezy and Simone from India's Closet for letting me use pictures of dresses they've made. Simone from India's Closet has used a skinnier belt than that specified in the pattern for her floral and MLP dress and has added a contrast border which is not included in the pattern. If you have any questions as to how to add a contrast hem please let me know - I'm happy to help! Love this dress, my granddaughter picked it out to use for her Christmas dress.